Has your veterinarian recommended that your cat eat more canned food? Since cats have a low thirst drive, canned food can help them with many health issues, including urinary tract and kidney problems. 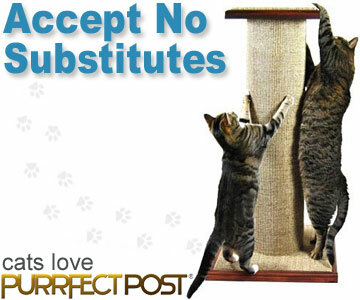 However, it can be difficult to get some cats to eat their canned food. Does your cat just lick up the liquid that comes in the cat food, leaving the chunks to languish? Take a can of cat pâté or smoothly blended cat food. Add some extra water (warm is usually more enticing than cold) and blend together with a fork. Mash up any chunks to get everything as smooth and liquidy as you can. This makes more "gravy" for your cat to lick up, which will often increase the amount of canned food that the kitty will eat. Start by adding just a tablespoon of water and work your way up until you find the consistency that your cat most enjoys. Be sure to follow your veterinarian's recommendations for type and amount of cat food that your cat should be eating. Watch that your cat is actually eating the amount that he should be because a serious liver condition can occur if he isn't. What if your cat won't touch canned food at all? In that case, you can try mixing a bit of it in with his dry food. Start with just enough to coat the dry kibble, and watch to be sure he eats it. Over time, you may gradually be able to add more canned and less dry until you reach your veterinarian's suggested amounts.